Minnesota Stars at the Foire de Tours! Nearly 100 Americans visited Tours earlier this month to take part in the Foire de Tours, a regional exhibition that featured all things Minnesotan to strengthen bonds with our French sister city and commemorate the 100th anniversary of the American arrival during World War I. Read our blog to learn more or like us on Facebook to view photos from this historic visit! 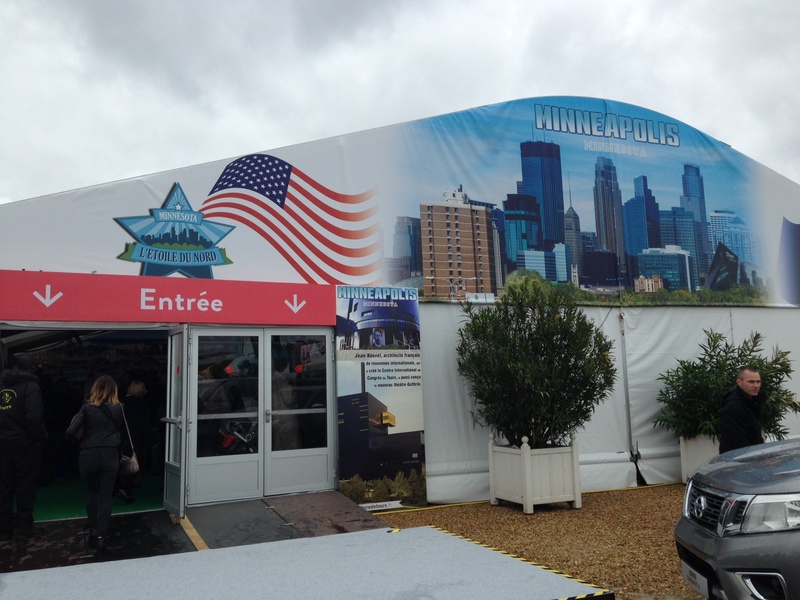 Foire de Tours showcases Minnesota! After years of planning, the time has come – Minnesota will be the featured guest at the Foire de Tours in our French sister city May 5-14! An exhibition similar to our state fair, the Foire highlights gastronomy, regional specialties, consumer products, live entertainment and more. Minnesota will have a dedicated exhibit space to showcase everything that makes the north star state unique including an eatery headed by award-winning chef Sean Sherman preparing indigenous foods and hometown favorites such as wild rice and walleye. Head to our blog for a Q&A with Sean and like us on Facebook to view photos from our exhibit!